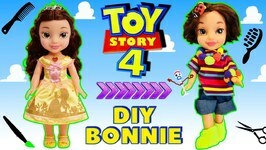 We make a custom Bonnie Doll from Toy Story 4 from a Princess Belle Doll in this video and then we open a bunch of Toy Story 4 surprise toys. Mister Maker shows you how to make a Super Snappy Jungle Plant! 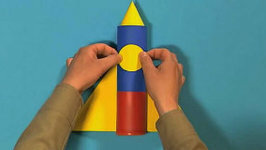 Mister Maker shows you how to make a Mini Space Rocket! 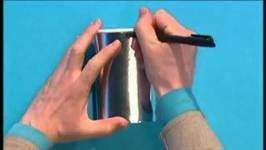 In this fun make, Mister Maker shows us how to create worms in a can! In this creative make Mister Maker shows you how to make a bug in a box! Why don't you give it a go? It's minute make time! In this minute make Mister Maker shows you how to make a flappy ear card! There's also a special "Watch This"- can you guess what they're making? 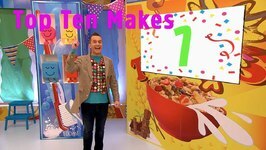 Mister Maker is out and about and has a big surprise for some lucky mini-makers! What are they making today? 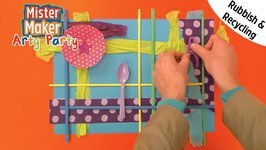 In this creative make Mister Maker shows you how to make a surprise picture, using an empty pack of wipes! 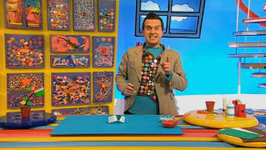 In this mini-make Mister Maker shows you how to make a wobbly clown! In this creative make Mister Maker shows you how to make a bubble wrap lizard in South Africa! Oh and Scrappz makes an appearance! 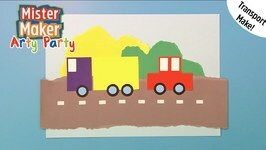 Mister Maker shows you how to make a transport-tastic make using ripped card and felt tips! 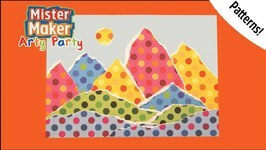 Scrappz and the mini makers build a very special arty party Building in this make! 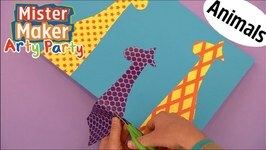 You will need tissue paper and paint to make some arty party-tastic bright buildings! 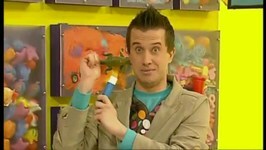 Mister Maker, Scrappz and the Mini Makers have a brilliant sparkly party! Find out how to make glorious glitter webs with crazy critters! Its time for another Arty Party make - this time Mister Maker shows you how to make a wonderful creation from using your own rubbish, and recycling! Find out how to make this fabulous furry monster picture! Made out of plastic spoons, paper, sticks and jewels! 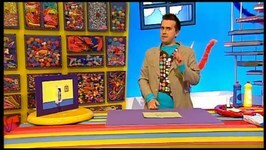 Join Mister Maker, Scrappz and his Mini Makers in creating .. 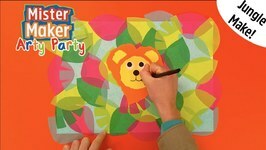 In this Arty Party make, join Mister Maker as he creates a collage using different patterns! If you want your own pattern creation, make sure you watch! What you need: .. Discover how to make funny-faced lid pictures! Let us know what funny faces you make at home in the comments below! 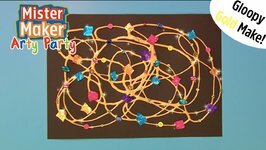 What you need: card, glue, whistle, clean butter lid, ..
Mister Maker, Scrappz and the Mini Makers have a Golden time in this special Arty Party! 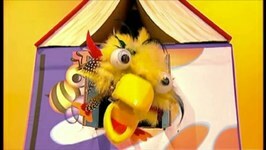 Lets find out what dazzling creation is in store today! What you need: card, gold ..
Another make has arrived! 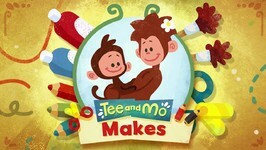 This time, we find out how to make our very own jungle creation - with materials we can find lying around the house! 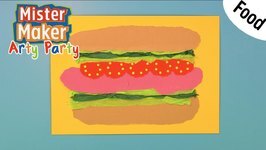 What you need: coloured ..
Find out how to make torn-paper sandwiches, as Mister Maker, Scrappz and the Mini Makers throw a party all about FOOD!